LFK children with delegates from South Korea at the start of the Smoking Ceremony. LFK recently hosted an international delegation of educators from South Korea and to pay respect to the traditional custodians of the local lands, the Boonwurrung people, we started the day with a ‘Welcome to Country and Smoking Ceremony’ led by Jaeden Williams. The kindergarten has built a close connection with Jaeden over recent years. Jaeden Williams, is a proud Yalukit Willam man and custodian of the Boonwurrung. The Boonwurrung ancestral lands extend from the Werribee River, inland Melbourne and along the Mornington Peninsula to Wilson’s Promontory. Jaeden has been pivotal in introducing the local Boonwurrung culture and language to the children of LFK, teaching them Boonwurrung words they can then share with others. Boonwurrung is an indigenous Australian language traditionally spoken by the Boonwurrung people of the Kulin Nation of Central Victoria prior to European settlement. 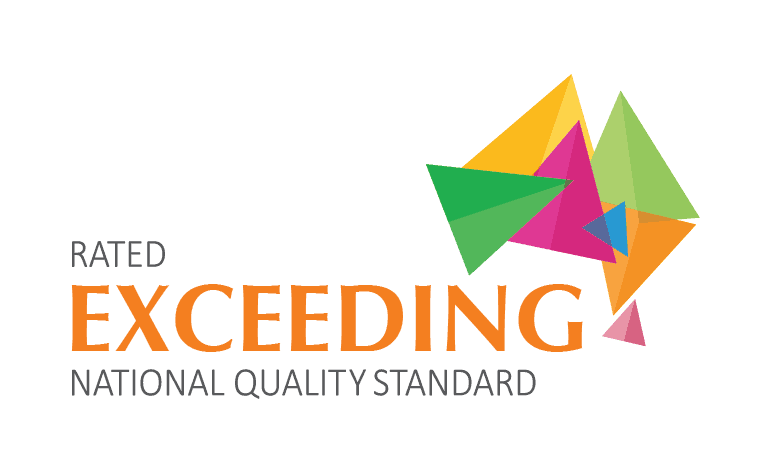 The last remaining traditional native speakers died in the early 20th century, however there is an active revival movement underway in the Indigenous community and we are committed to supporting this by Jaeden’s work with LFK children. Our language is like a pearl inside a shell. The shell is like the people that carry the language. If our language is taken away, then that would be like a pearl that is gone. We would be like an empty oyster shell. Jaeden collaborated with a local artist last year to present an art workshop for the children. He retold the Port Phillip Bay first peoples creation story and the children produced mural paintings depicting the story. 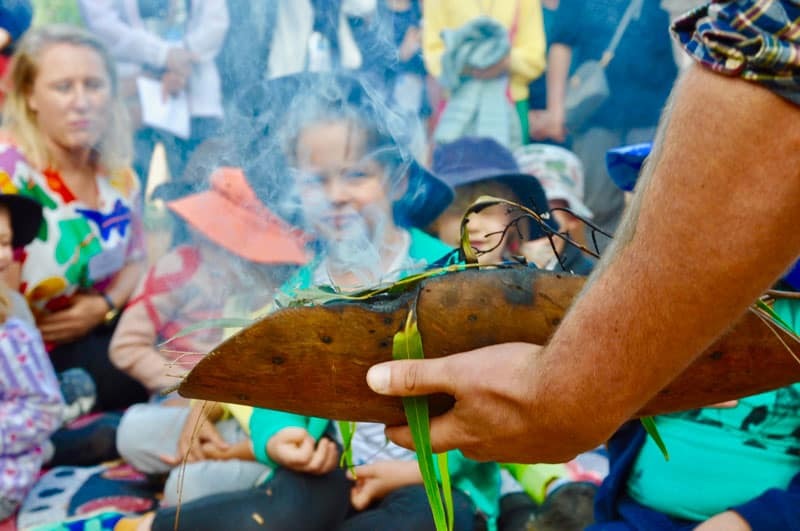 In 2019, Jaeden will accompany the children on one of their beach excursions, teaching them about native plants, trees and creatures as well as sharing ancestral stories of the land. 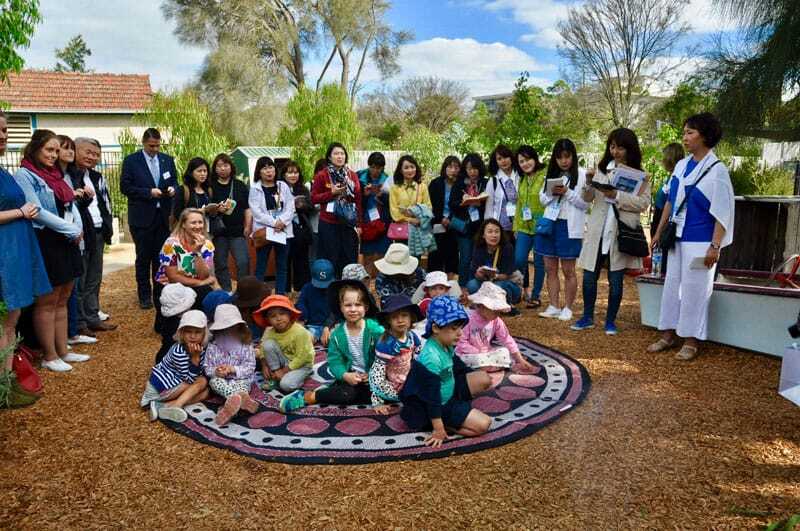 This excursion will lead in well to plans for development of an indigenous garden in the area currently fenced off for pending works to the fence and parkland (Elwood Play Space) adjacent to the kindergarten. We thank Jaeden for enriching our kindergarten with a local indigenous perspective. Jaeden Williams of Bunjil’s Biik prepares for the Smoking Ceremony at LFK. 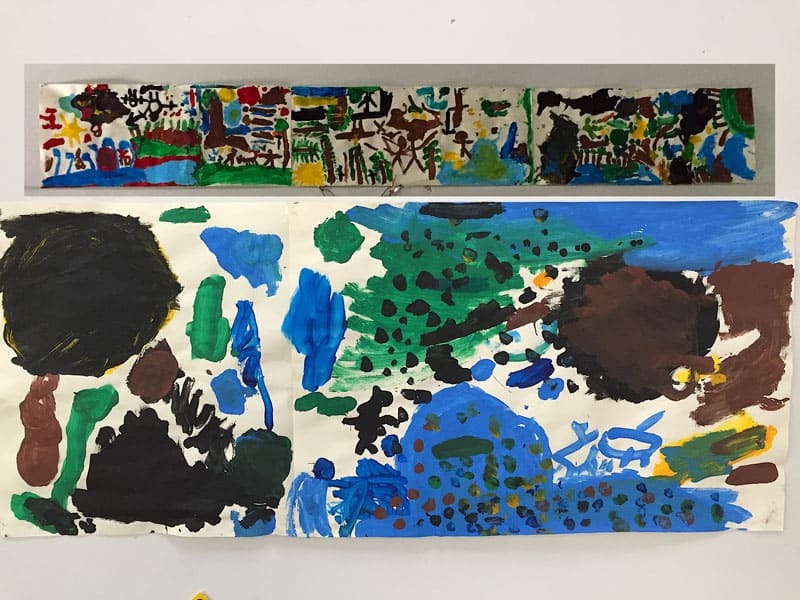 LFK children produced two mural artworks in 2018 with their interpretations of the creation story presented by Jaeden.